The Photography team manages a vast collection of photographic images of UMass Amherst available at no charge for use in university publications, websites, displays, and presentations. The images show students, faculty, alumni, and administrators in a wide variety of settings, events, campus buildings and grounds, and classroom scenes. 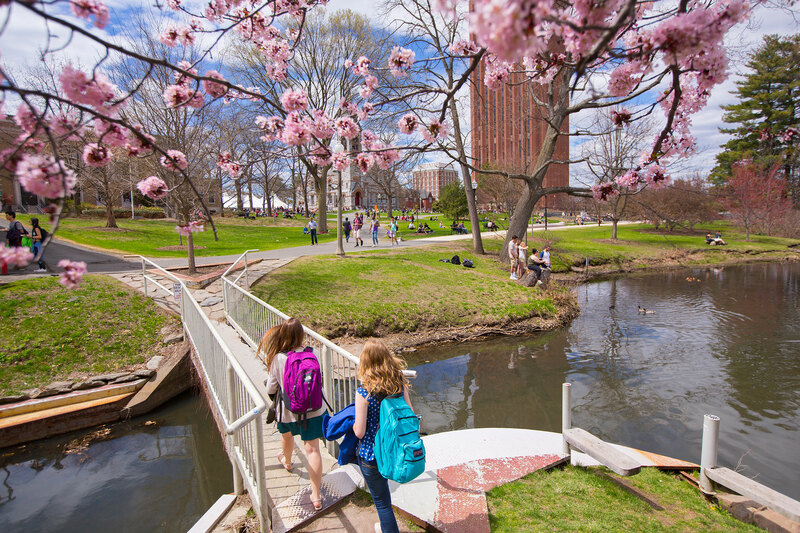 You can access these images using the UMass stock photography website. On a limited basis, University Relations also offers assistance with assignment photography. Event photography is limited to those events that will supply images that will have the widest possible use for the University as a whole. The University Communications team maintains a list of freelance photographers who are often hired to cover UMass Amherst events. To acquire the names and contact information for these photographers please call our office at 413-545-0123. For historical images of the university, visit the library's digital repository.